On November 7, 2017 USA’s Gwen Jorgensen announced her retirement from competing in the sport of triathlon to instead pursue a new dream - to win an Olympic gold medal in the marathon. 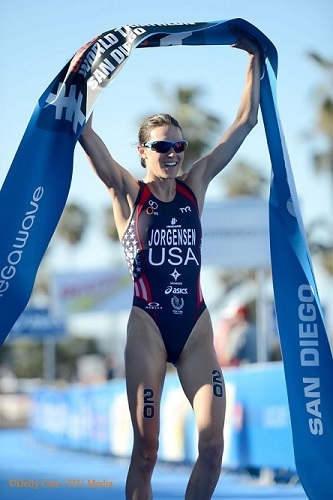 Over the seven years that Jorgensen has raced at the ITU level, she has swam, biked and ran her way into the history books. She pushed herself to become one of the strongest women to ever toe the start line with 25 gold medals and 37 podium finishes throughout her career. She earned multiple ITU triathlon records such as the only woman to win a world title after a perfect undefeated WTS season, to hold onto a 12-race WTS winning streak and to win the Olympic test event and then the Olympic gold medal the following year. She is the 2015 WTS World Champion, the 2016 Mixed Team Relay World Champion and the 2016 Olympic Gold Medallist. After her victory in Rio Olympics, Gwen changed completely her routines and her priorities. She moved to a new city and gave birth to her first child, Stanley. As she explained, “my time away from triathlon allowed me to reflect and set new goals”, and new goals she has: competing for the Olympic Gold Medal in the Tokyo 2020 Games. Her success on the triathlon course changed the pathway of the sport outside of the course. She elevated the game in women’s triathlon, pushing participation and equality as well as redefining what it means to be a three-discipline triathlete. While we have loved every moment that Jorgensen has raced in ITU competitions over the years, we wish her the best of luck pursuing her next dream, and we are sure that the triathlon family will be cheering for her during the Marathon in Tokyo 2020. In celebration of her career and all of the impressive accomplishments that she has shown in her years competing in ITU and triathlon, we look back at some of her most iconic moments in the sport from over the years. Gwen Jorgensen has cemented her place as one of the best triathletes of her generation, with a strong all-around performance and her killer run kick delivering her Gold in the triathlon event at the Rio 2016 Olympic Games. USA's Gwen Jorgensen is now looking ahead to the rest of the WTS and most importantly the Rio Olympic Games, with gold on her mind. 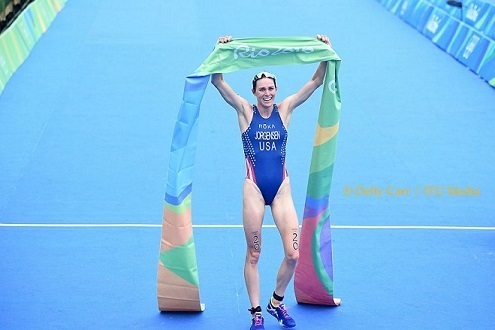 When it comes to listing off our favourite moments of 2015 and picking out the "Best", American Gwen Jorgensen's season of perfection was near the top. 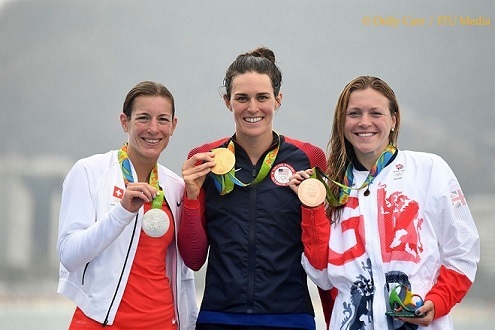 Gwen Jorgensen(USA) has won herself yet another gold medal, but this time the gold means a little bit more—she has automatically qualified herself for the 2016 Rio de Janeiro Olympic Games next summer. 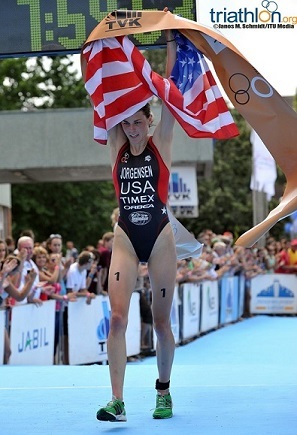 Proving that she is also capable at dominating in a sprint, USA’s Gwen Jorgensen claimed victory at the 2015 World Triathlon Series Hamburg on Saturday. 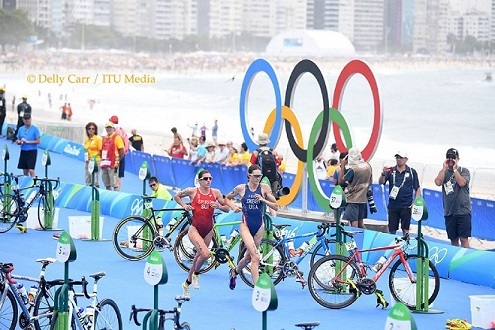 Not even a penalty can slow down Gwen Jorgensen, as she ran away to her eighth consecutive win on the Gold Coast. 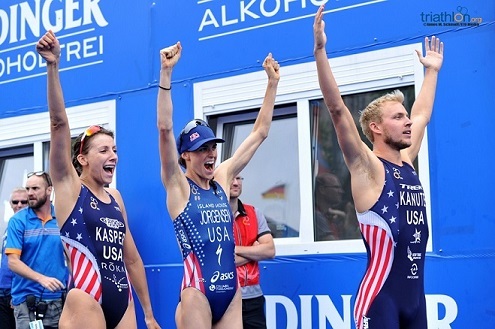 In a memorable day for the USA women's team, Sarah True and Katie Zaferes rounded out the podium. 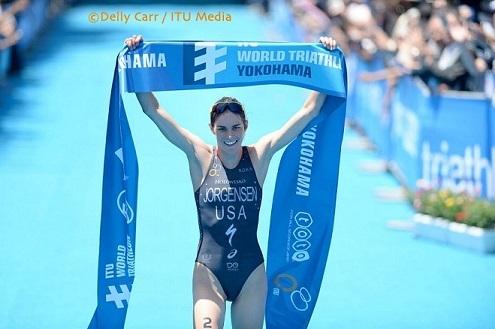 American Gwen Jorgensen today claimed a slice of history in winning the 2014 ITU World Championship Grand Final in a trademark come from behind performance. 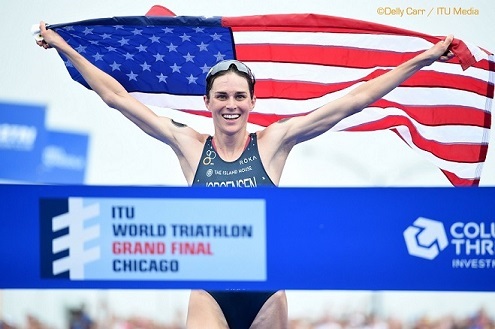 US superstar Gwen Jorgensen recently took time to speak with us about her breakout season and what she's doing when she's not destroying the record books.